Your nails are weak, soft or fragile? Do they also suffer from low growth late and barely grow beyond fingertips? Do they beak or rip easily? This amazing mixture of natural nutrients penetrates and works directly onto nails to make a double effect on nails. While the growth is increased, the strength and resilience is improved by improving the layer connections and stability. Two – five times a day depending on your nail condition. 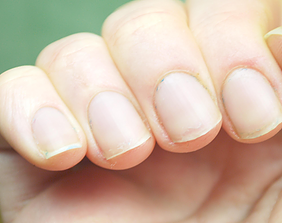 Primary increase in nail strength is seen within 5 days, while the best result in about two months. However the rise in growth rate is discovered gradually. This patented herbal product does not leave a layer on your nail. Your own natural and beautiful nail grows with less problems. There is no hazardous chemicals and as a result there is zero side effects or allergy. Safe for children and pregnant women.